Always wanted to know which are the best bikes in India? In this article, we give you the best bikes that you can buy under the budget of Rs 2.5 Lakhs on an average. Check out the list and pick one for yourself. The taste of Indian bike buyers has certainly developed. Recently, there was a news about the BMW HP4 motorcycle worth Rs 1 crore bought in India. While people also buy bikes going up to Rs 20 Lakhs often, still the average budget stays around Rs 2 Lakhs. So for this list of best bikes in India, we have taken an average budget of Rs 2.5 Lakhs. Under this budget, we tell you about the best bikes that you can buy. We have chosen one bike from each segment including 110cc, 125cc, 150cc, cruisers, naked bikes and so on. The brands include Hero, Bajaj, TVS, Royal Enfield, Suzuki, and KTM. We have also given the prices, specs, features, and reasons to buy these bikes. Check out the list and pick one for yourself. Hero Passion Pro i3S is our pick from the entry level bikes, mainly due to its highest mileage figure of 84 KMPL. It gets a Halogen headlamp, LED tail light, engine kill switch, semi-digital instrument cluster and more. The bike comes with 97.2 CC engine that produces 8.35 PS worth power and 8.05 Nm worth torque. Regarding rider comfort, the bike gets a Swing arm with Adjustable Hydraulic Shock Absorbers suspension in the front and Telescopic Hydraulic Shock Absorbers in the rear. 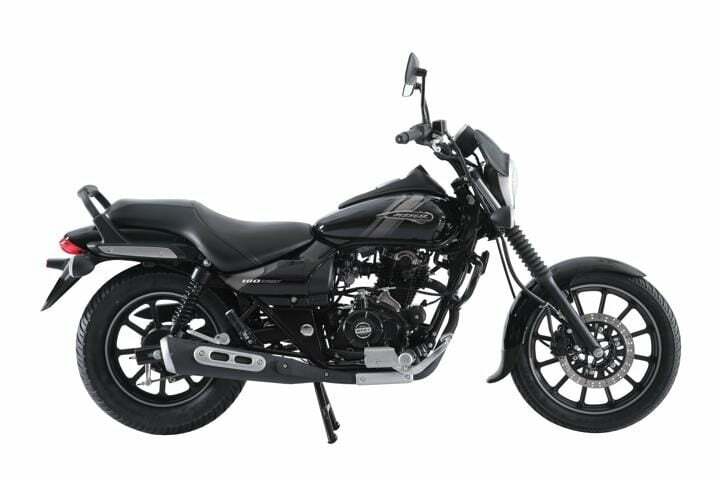 The bike comes in three variants priced between Rs 51446 – 54594 (ex-showroom Delhi). Passion Pro i3S competes with Honda Dream Yuga, Bajaj Discover 110 and Hero Splendor. 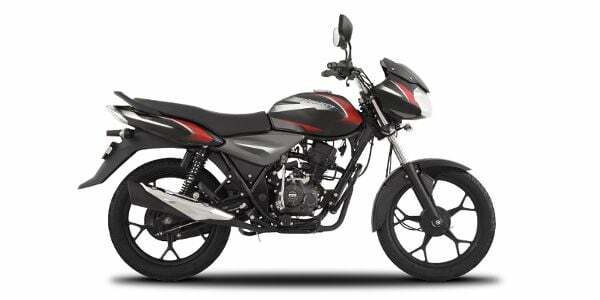 Bajaj Discover 125 is our pick for the 125 CC segment, mainly because it is the cheapest 125 CC bike. Also, the bike gets a digital twin-spark ignition. It comes with features such as Spider mag-wheels, Textured Tail-lamp Bezel, Part-Digital Instrument Cluster and Twin LED DRLs. The bike runs on a 124.6 CC engine that produces 11 PS worth power and 11 Nm worth torque. It gives a claimed mileage of 82.4 KMPL with a riding range of 536 Kms. The bike comes in two variants – Drum and Disc – which are priced between Rs 52,672 to Rs 54,650 (ex-showroom). 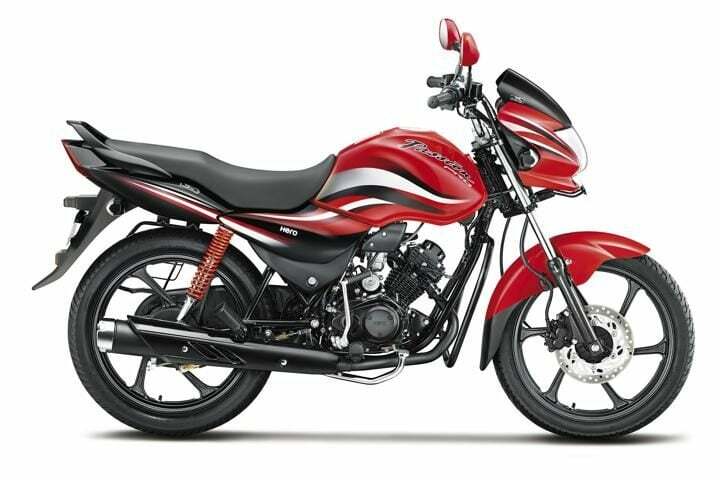 Bajaj Discover 125 competes with Honda Shine SP, Hero Glamour and Yamaha Saluto. A naked bike is a delight to many. Probably, Gixxer is the cheapest naked bike in the town. Suzuki Gixxer is a naked bike copying the looks of Suzuki GSX 1000. In the 150 CC segment, it currently is one of the best machines to lay your hand on. Gixxer gets a fully digital instrument cluster with Gear position & RPM indicator, Automatic Headlamps, and a sporty style. The bike runs on a 154.9 CC engine that produces 14.8 PS worth power and 14 Nm worth torque. It gives a claimed mileage of 64 KMPL with a raiding range of 760 Kms. The latest update to the Gixxer is a single-channel ABS, which a lot of its competitors do not have. 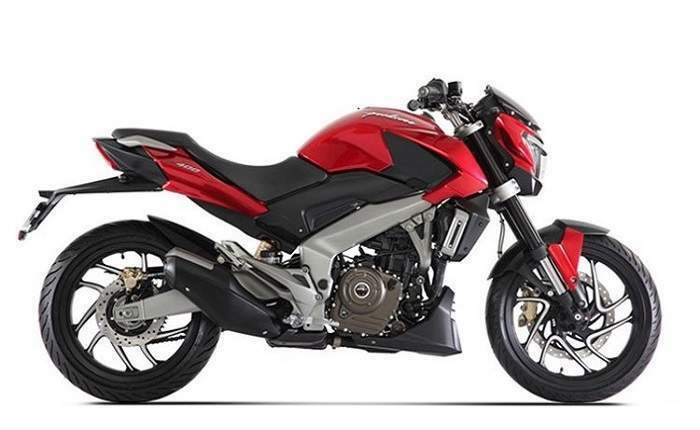 Having tough competition from Bajaj Pulsar 150, it gives a modern and sporty look, unlike the Pulsar. The sporty appeal of the bike catches young buyers towards it. The bike is available in two variants and is priced between Rs 77,015 to Rs 87,250 (ex-showroom). Also Read: Suzuki GSX-R150 Looks Like a Worthy Adversary to Yamaha YZF-R15! 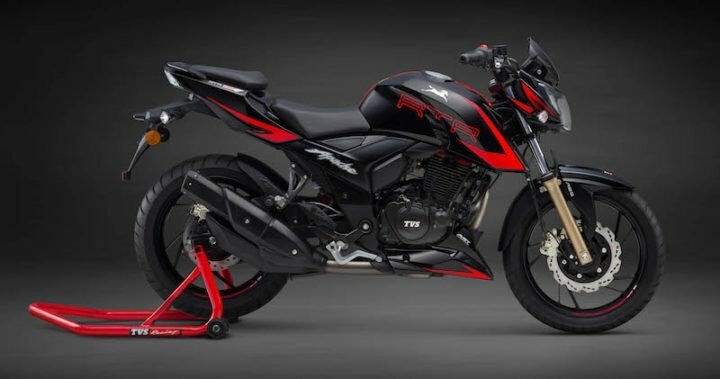 The facelift, 4th version of TVS Apache is now a naked bike. Apache RTR 160 4V is a naked bike with complete classy looks. However, it also features aggressive looks thanks to its low-set headlamp, contoured single-piece seat, dual-tone side panels and an all-digital instrument console that includes a tripmeter and a clock. The bike runs on a 159.7 CC oil cooled engine that produces 16.5 PS worth power and 14.8 Nm worth torque. Apache offers the most powerful engine amongst its competitors with a touch of extra features. It gives a claimed mileage of 45 KMPL with a riding range of nearly 500 Kms. Apache is available in three variants – Front Disc, Rear Disc, and Fuel Injection Front/Rear Disc. It comes with a price tag starting from Rs 81,490 to Rs 89,990 (ex-showroom). 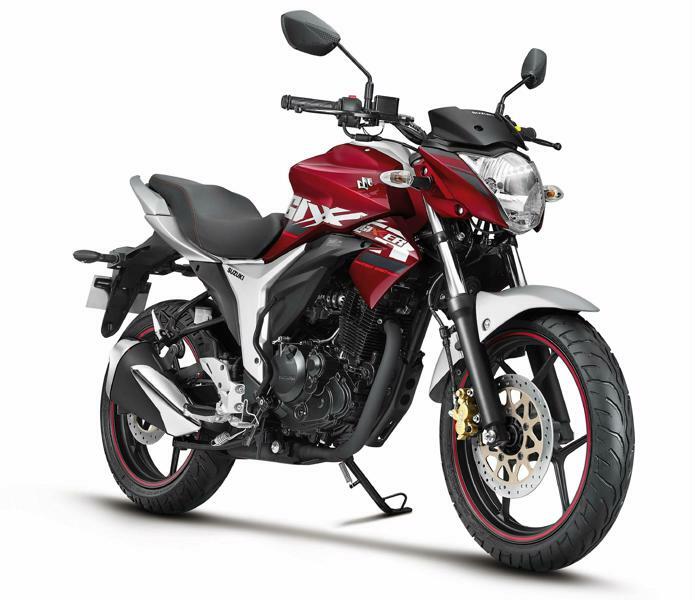 The bike competes with Honda CB Hornet 160R and Pulsar NS160. India’s cheapest cruiser bike is probably the best tourer bike with a price tag nearing Rs 1 Lakh. Bajaj Avenger Street 180, is our pick for the best under 200 CC cruiser bike segment and sub Rs 1 Lakh budget. The next main competition it receives is from Suzuki Intruder which starts from around Rs 1.02 Lakh. Also, the bike offers only a 150 CC engine, whereas Avenger offers more. Avenger gets a 180 CC engine that produces 15.5 PS worth power and 13.7 Nm worth torque. The bike gives a mileage of 45 KMPL with a driving range of 585 Kms. Another advantage with Avenger is that it offers a backrest for the pillion rider, which Intruder does not. However, Avenger misses out on a digital instrument cluster. It also comes with a LED DRL. The bike comes with a price tag of Rs 85,948 (ex-showroom). The TVS Apache RTR 200 4V is doing quite well in the market and we have picked it to be best 200 CC naked bike in India. Apache RTR also comes with a naked bike look, however with a sleek body. It gets some good racing features like Splitter Clutch, Remora Racing Tyres, Racing Double-Barrel Exhaust, and a Fully Digital Instrument Cluster. Also, the top end variant comes with ABS, which some of its competitors do not offer. 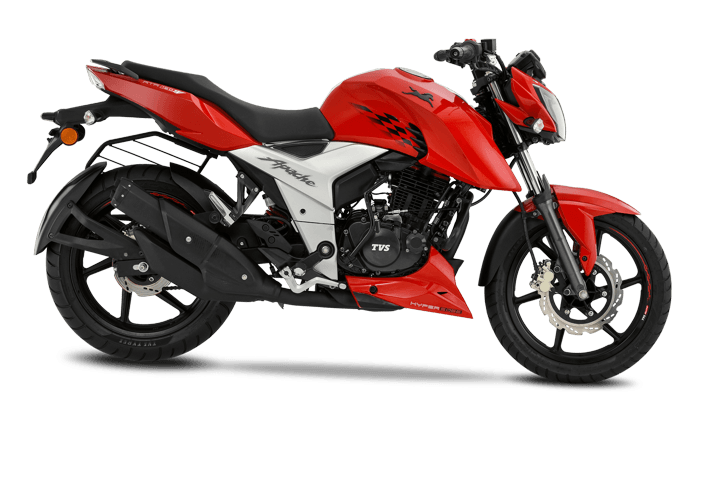 TVS Apache is powered by a 197. 8 CC air-cooled engine that produces 20.2 BHP worth power and 18.1 Nm worth torque. The bike records a mileage of 32 KMPL with a riding range of 384 Km. The bike competes with KTM Duke 200 and Pulsar NS200. Apache is available in five variants – STD, Carburettor, Fuel Injection, ABS, and Fuel Injection Ethanol. The range starts from Rs 93,685 – Rs 1.10 Lakh (ex-showroom). Lately, a lot of sports bikes have been launched in India and luckily a couple of them are not that expensive. 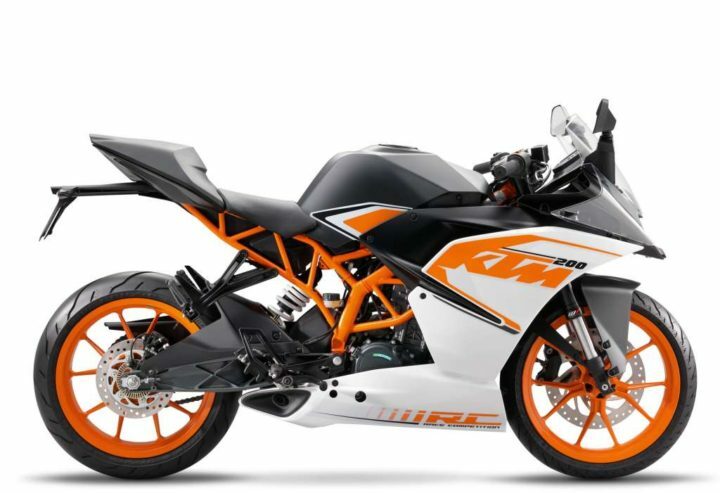 KTM RC 200 is our pick for the best sports bikes under 200 CC segment. The sporty looks with a fiery colour can make any sports bike lover fall for it. The decals on the side body of the bike are just too classy. Also, the small yet aggressive exhaust at the bottom of the bike defines the bike. The bike gets a 199.5 CC engine that produces 25 BHP worth of power and 19 Nm worth of torque. KTM gives mileage worth 35 KMPL with a riding range of 350 Kms. The bike comes with a price tag of RS 1,76,640 (ex-showroom). KTM RC 200 competes with Yamaha FZ R15, Honda CBR 250R and Pulsar RS 200. TVS Apache RR 310 is TVS’s first fully faired sports bike. The bike sports a sharp and edgy design language all through. The dual-LED projector headlamps give the Apache RR 310 a distinctive look. The rear section of the bike sports uniquely designed shark fin-like tail lamps under the split seat. The Apache RR 310’s LCD instrument cluster displays the engine temperature, fuel level, speed, gear indicator, clock, odometer and side stand indicator. It also houses a unique tachometer which displays rpm in a vertically ascending manner. The bike is powered by a 312cc single cylinder, liquid-cooled, fuel-injected engine. This engine produces 34 BHP and 27Nm of torque and is mated to a six-speed gearbox. It gives a mileage of 31 KMPL. It competes with Kawasaki Ninja, Yamaha FZ R3, Benelli 302R and KTM RC 390. 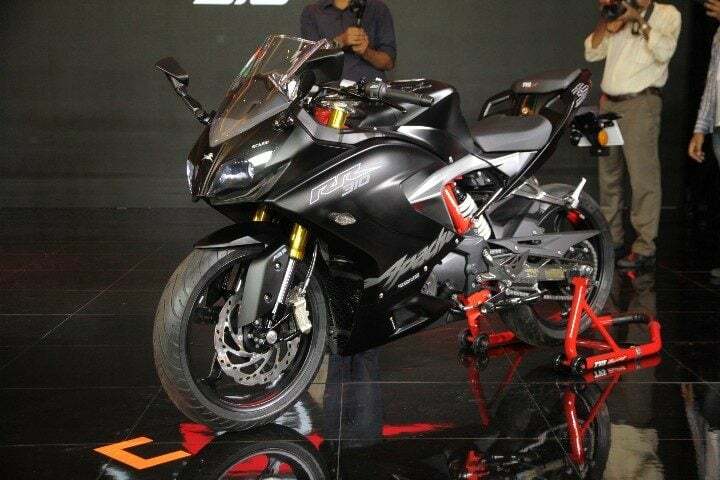 The bike comes with a price tag of Rs 2.15 Lakh (ex-showroom). Word on the street for Bajaj Dominar 400 is a ‘power cruiser’. It is shaped like a cruiser but fits more in the shoes of racing bikes. The chiselled mudguards, aggressive headlamps, and the machine fitted alloy wheels are the main highlights of the bike. The reverse instrument LCD display, ABS, the tell-tale lights, and a side stand indicator are the main features. The bike is powered by a six-speed 373 CC liquid cooled engine. The engine delivers 35PS power with 35Nm torque. The bike offers a mileage of 27 KMPL. It highly competes with Enfield brothers – Classic and Thunderbird. Enfield offers a completely different level of cruising feel. So, people choosing technology over the brand name can look for this. However, an Enfield fan would never look beyond the Enfield bikes. The bike is available in two variants – STD and ABS – priced between Rs 1.42 Lakh and 1.58 Lakh. 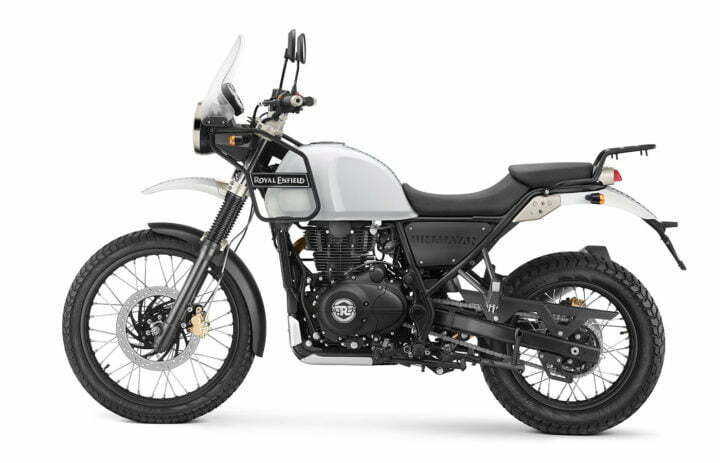 In India, Royal Enfield Himalayan is the cheapest off-road – on-road bike available. The bike is such a wonder to the eyes. Plus, it is almost a naked bike with lifted mudguards, sporty exhaust and an elegant ‘Himalayan’ decal. The Himalayan is powered by a 411cc single-cylinder air-cooled engine that produces 24.5bhp power and 32 Nm torque. Himalayan delivers a mileage of 36 KMPL. It lacks on the technology side, but here the looks sell the bike. It gets an analogue cluster with clock and trip meter on the display unit. The bike does not offer ABS but is reported to have in the next version. It comes with a halogen headlamp and a LED tail light. The bike currently has no specific competition but distantly competes with the other cruiser bikes. It fits between the off-road and cruiser bike segment. Himalayan is priced at Rs 1.68 Lakh (ex-showroom). So, these were the best bikes that we chose. These bikes are also one of the top selling bikes in their respective segments. Tune in to CarBlogIndia for more such articles.